Earlier today, Apple slipped in a small piece of car related information regarding its upcoming Apple Watch that you may have missed if you blinked. 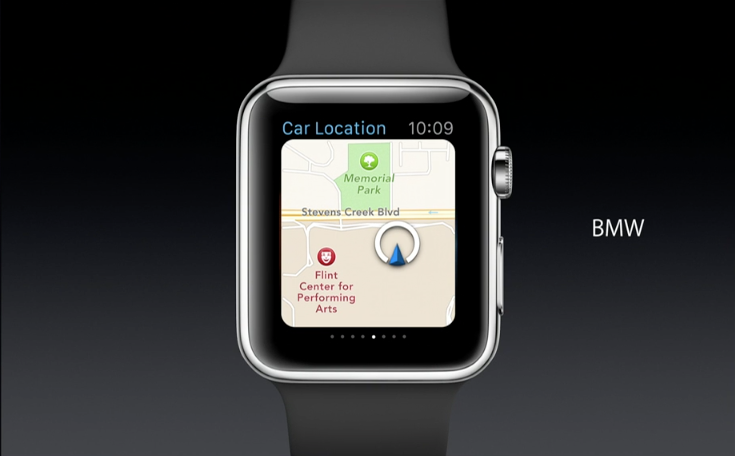 The news has to do with BMW and an upcoming BMW i app for the Apple Watch. With the Apple Watch, which is due for release starting early next year at $349, BMW owners will be able to view charge level on their electric beamer right on their wrists. Other information like range and whether the doors are locked or not will also be available. Additionally, the i app will give you location information of the place where your car is parked and even directions to it. BMWBlog has also suggested that a wider range of features, that were not highlighted by Apple, are packed in the i app. 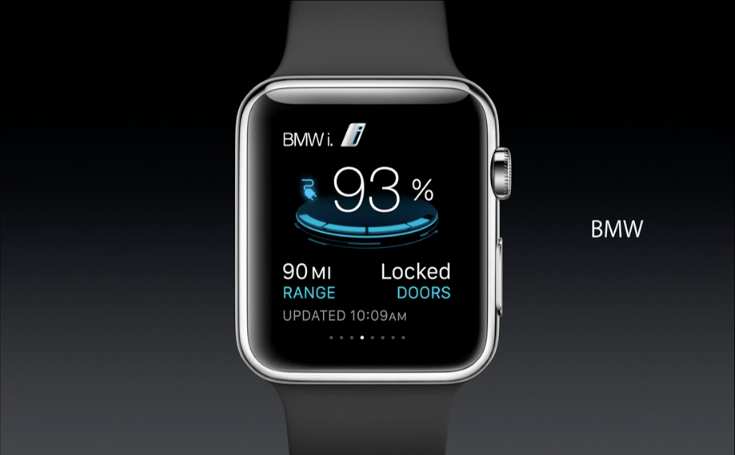 Also, additional BMW apps for the Apple Watch are in the works.